in the case of enforcing a monetary agreement, he or she owns property within the state, e.g., real estate, bank accounts, a business, or stocks and bonds. 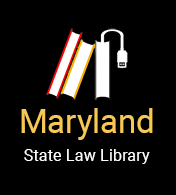 The Maryland courts generally require strict compliance with a decree for child and/or spousal support. If a parent or spouse ordered to pay support does not adhere to the terms of the decree, he or she can be found in contempt of court. The court’s contempt powers include imprisonment if the nonpaying spouse has the ability to pay the amount and fails to do so. The State’s Attorney can also criminally prosecute intentional failure to pay child support cases. However, in both the contempt and criminal prosecution cases, where a real inability to pay can be shown, jail will probably not result. Custody and visitation orders can also be enforced through the court’s contempt powers. An unjustifiable denial or interference with court-ordered custody or visitation can result in the court ordering make-up time or modification of the existing order to ensure future compliance. The court can also assess attorneys fees and costs against the offending party. The law is intended to assist an individual who wishes to pursue support enforcement without an attorney, or with the assistance of the Child Support Enforcement Administration. It places on the courts many responsibilities usually performed by attorneys. Sample forms should be available at the clerk’s office in every county and Baltimore City. In divorce cases, it is typical that the judgment of divorce requires a party to take some action, such as transferring a portion of a retirement account to the other party or transferring the title of a vehicle. If the ex-spouse refuses to transfer the property pursuant to the judgment, there are at least 3 ways to enforce the judgment. First, a party may file a contempt action to compel the non-complying party to comply with the judgment. Secondly, a party may file a petition for the court to appoint a third-party to execute the documents necessary to effectuate the transfer at the expense of the non-complying party. Thirdly, if the non-complying party still has possession of the property, the court can seize the property to compel compliance with the judgment. If the divorce judgment required the payment of money, the court can enter a judgment against the non-paying party. When the court has ordered child support, alimony, attorney's fees, or a monetary award, the property of a non-paying party may be seized or sequestered.